Damaged by water some time ago. Too good to toss away as is. 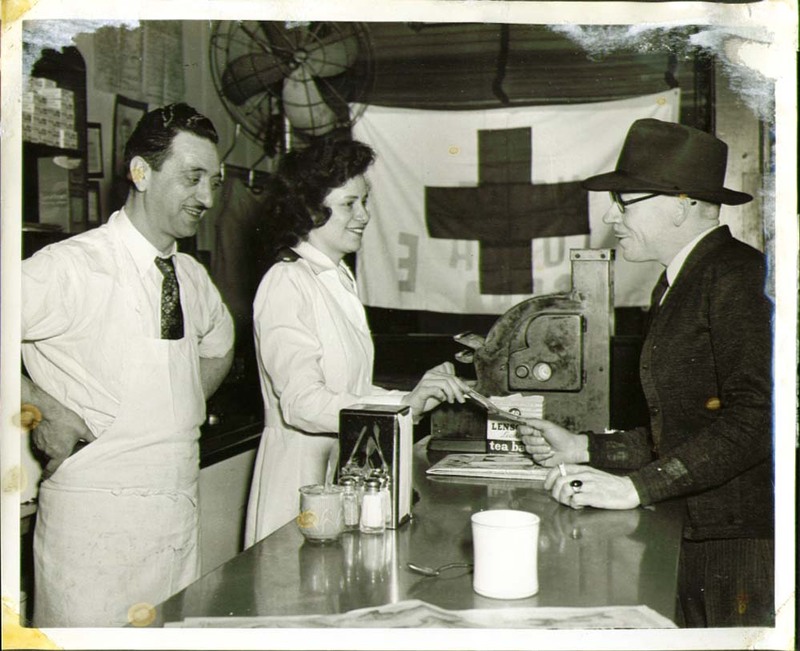 Unidentified lunch counter transaction with Fund Drive banner in background. Probably Bridgeport area CT. Original studio-issued photograph. Information stated as we know it. Size stated is approximate. Scans large to show condition and detail. VG or better condition.